03 Feb 2016 Will a Presbyterian President with Orthodox Christian Adviser Stop Putin From Harming Israel? There is a robust plan under way to chase Iran out of Syria. President Trump and President Putin must have struck a secret agreement to force Iran to exit Syria. In return for Assad’s total control of the country. This is a Trump Putin Assad gang up Iran plan. Assad’s attacks against Deraa with total American support is but a breadcrumb pointing to the plan. Another is American appeasement of Turkey with regard to Kurdish aspirations for autonomy, which seem to have been frozen. At the end, every regional actor involved directly in Syria has been granted its wishes. Except those of the Kurdish and the Syrian people. Saudi Arabia, on its own, abandoned Syria for Yemen. Its forces liberated recently the port of Hodeidah from the Mullahs’ paws with U.S. logistics and intelligence help. We are back to square one. After hundreds of thousands killed in Syria’s war and millions of refugees, it is March 14, 2011 for Syria minus the destruction and the tragedy that befell its people. Deraa will only pile more misery upon the innocent civilians who may have discovered recently the value of a pawn on a chessboard. For his part, Assad wants control of his family over the country whether in ruins or not. If that means giving-up the Mullahs, so be it. Everyone follows the shortest path to achieve the best results to serve their interests. Besides, Assad has a bigger brother to rely upon than the supreme religious turban-wearing zealot. 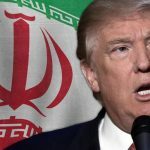 The Trump Putin Assad gang up Iran plan showed part of its blueprint when the White House issued a warning for all countries to stop buying Iranian oil by November of this year. The message the U.S. State Department delivered on June 26 to all countries to show how serious Trump is in toppling Khamenei and his cronies was “You don’t comply, you get sanctioned”. No regime in Tehran, no IRGC troops or Iranian cultural muscle in Syria. Mr. Barack Nincompoops Obama, watch and learn how America defeats terror. In the next few weeks, there will be another Assad chemical attack in Idlib. Russia, already, is laying the plan to blame the rebels by claiming it has intelligence trucks of unknown substance have been sighted in Idlib. Furthermore, Assad Air Force is bombing hospitals in Southwest Syria. No outrage this time around. We doubt the media will report any chemical attacks ever again by the Assad regime. At the end, Russia, and its allies, won big in the Middle East thanks to Obama’s Putin inertia and Trump’s Putin fiesta.